We live on the southwest side of Houston, Texas in the Pecan Grove Plantation community. In December 1998, Kay retired form the Alief Independent School District where she was a middle school counselor. She stays active with her Wednesday morning Stitchery group, yoga, and a volunteer at Second Mile Mission Center. Kay is a Licensed Professional Counselor. In 2011, she started a counseling business, Cook Counseling, and worked in this business until March, 2016, when she retired. In October 1998, Lawson retired from Texas Instruments' Stafford site, where he was an electrical engineering section manager. He is active as webmaster and VIGOR newsletter editor for the TI Houston Alumni Association. He is licensed as Amateur Radio operator N5ATT. We are members of Second Baptist Church in Houston and attend the West campus in Katy. Kay teaches Bible Study for youth, and is a member of the choir. Lawson volunteers as a video engineer for the television ministry at the main Woodway campus. We listen to Christian Radio in Houston at 105.7 FM in Houston. You can hear KHCB on the Web at khcb.org. Would you like to know more about becoming a Christian? Click on the following links to read more. - How to become a Christian. - What does It Mean to Believe on the Lord? We enjoy getting out and experiencing God's beautiful natural creation as much as possible using our 5th wheel trailer. Our equipment: A 2015 Ford F250 SRW 4x2 Crew Cab Lariat 6.2L EFI V-8, 6-speed transmission, 3.73 axle ratio and PullRite Superglide #4100 16K hitch (replacing our 1999 F250) & a 2002 Glendale Titanium 24E29 5th wheel. 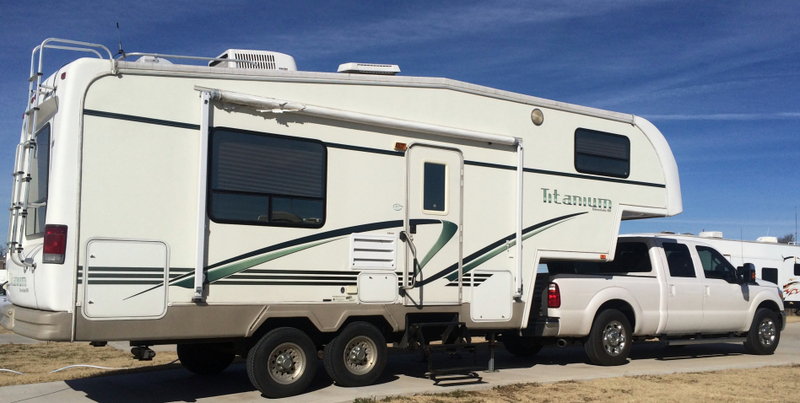 The trailer is a 2005 replacement for our 1999 Wilderness 821-5B 5th wheel. Using the window of opportunity we have been given at this time, more of these vacation trips are being made without the RV. This is due to the great distances of these destinations from Houston and the limited amount of time we currently can devote to a particular trip. We still love to travel in the RV. 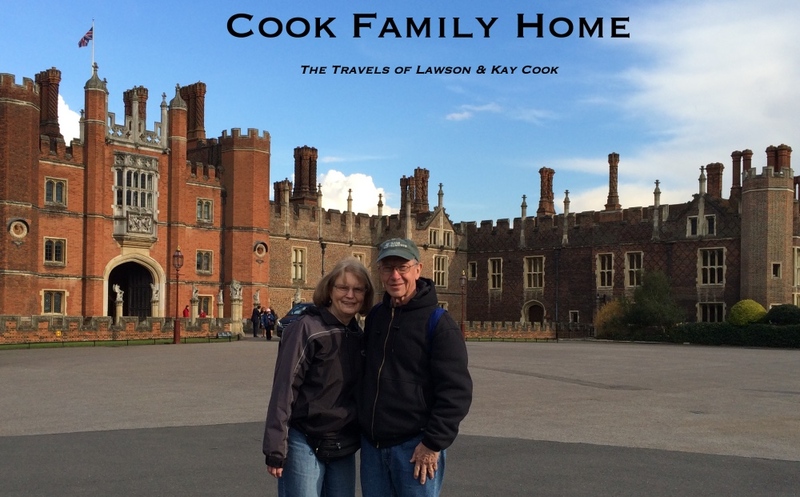 Click on the highlighted links below to view pictures and a short story about some of our travel adventures. San Leon, TX - August 29 - September 3, 2011. San Antonio - May 12-21, 2011. Big Bend National Park - December 29, 2010 - January 10, 2011. Texas Hill Country - October 25 - November 5, 2010. Galveston Island - August 23-28, 2010. Louisiana Acadiana - May 10-20, 2010. Historic Goliad - February 22-27, 2010. Arkansas - October 19-31, 2009. Palacios, The City by the Sea - August 10-14, 2009. West Texas Family Reunion - June 8-19, 2009. Caddo Lake & the Texas Piney Woods - April 29 - May 9, 2009. Wharton and Matagorda County - March 16-20, 2009. Texas Panhandle - August 13-28, 2008. Brazos Bend State Park - March 3-15, 2008. Dallas - October 2-13, 2007. Texas Piney Woods - May 14-26, 2007. Texas Rio Grande River Valley - February 26 - March 10, 2007. Ouachita & Ozark Mountains Autumn Colors - October 16-28, 2006. Teague-Miller Reunion & West-Texas - July 2-15, 2006. Cook Reunion & Mississippi Campgrounds - May 28 - June 8, 2006. Davis Mountains - March 13-25, 2006. Oklahoma & Arkansas - September 11-28, 2005. Fort Worth - September 12-25, 2004. High Island & Chambers County Birding - May 11-15, 2004. Texas Hill Country - March 7-20, 2004. Beaumont/Port Arthur - December 14-17, 2003. Guadalupe Mountains National Park & West Texas - October 3-13, 2003. Mississippi - September 9-21, 2002. Fredericksburg - August 5-10, 2002. East-Central Texas - May 5-11, 2002. Arkansas Ozark Mountains - September 21 - October 6, 2001. Great Lakes Tour through Michigan & Ontario - August 30 - October 9, 2000. Galveston - May 29 - June 2, 2000. Gonzales, TX - February 8-11, 2000. Western Texas and Northern & Eastern New Mexico - May 25 - June 16, 1999. Thanks for visiting our Home Page! Let us know if you like it.